Dr. Temperance 'Bones' Brennan: What's black metal? Clark Edison: I don't know. It's Norwegian. Whole different kind of black. I always considered "Bones" to be one of the better crime shows. Not following the show closely it has always been nice to pick up an episode on German TV once in a while. But this episode, dealing with Black and Death Metal, killed the show for me. Being a Metal fan for years with a deep interest in the extreme versions of the genre, and having been working as a Metal music journalist for the past three years, interviewing a variety of Death and Black Metal musicians (Satyricon, Secrets Of The Moon, Vader, Behemoth, Agalloch, Dornenreich, Nile, etc.) 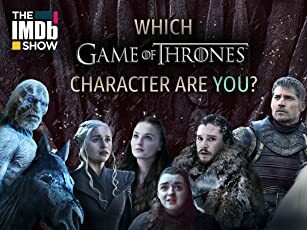 I cannot start to express both my amusement and disgust at how clichéd, shallow and plain stupid the subculture was portrayed in this episode. Anyway, once the characters on the show started talking about Black Metal and the case got underway, it really became excruciating to watch for someone who actually knows the music and is friends with many people in the scene in Germany. All the stereotypes were neatly laid out: Satanism, desecration of dead bodies, self-mutilation, etc. And someone should have mentioned to the producers that Black Metal musicians DO NOT walk around in corpse-paint all the time! Many bands don't use it all anymore. And the ones who do, do so on stage and for promo shots, certainly not when they are interrogated by the police! But oh well, better to present the unknowing audience a decent freak show than to at least try to be somewhat realistic. I really couldn't watch the whole episode (had to mute in between because of the ridiculous and misinformed dialogue). I could never have imagined "Bones" to sink that low. The depiction of the music and the scene was way off. It had almost nothing to do with the reality of this subculture. The writers merely picked out the most scandalous events of the past (yes, the guitarist of MAYHEM was indeed stabbed to death by the BURZUM guy in 1993) and presented them as the essence of this genre. 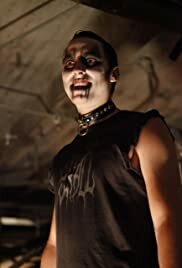 As far as research on the subject matter goes, the depiction of the concert at the beginning and the ludicrous costumes of the "Black Metal kids" clearly showed that the producers had no interest whatsoever in actually trying to shed light on an interesting and sometimes very obscure scene. What they did instead was a toe-curling freak show. A disgrace to all the artistic beauty and significance of a musical style; a defamation of a whole subculture (marked by some stupid lunatics and many, many intelligent, insightful people); and finally an insult to the viewer's intelligence.